Have you ever done a runner from the dentist? Are you petrified of clowns? Have giant headlice tried to eat you? Have you ever been attacked by Library Ninjas when your book was five years overdue? And have you come up with a genius way to never do homework again? All of these things have happened to me. I’m Tom Weekly. My life is an exploding chicken and the book in your hands is my attempt to glue it back together again. 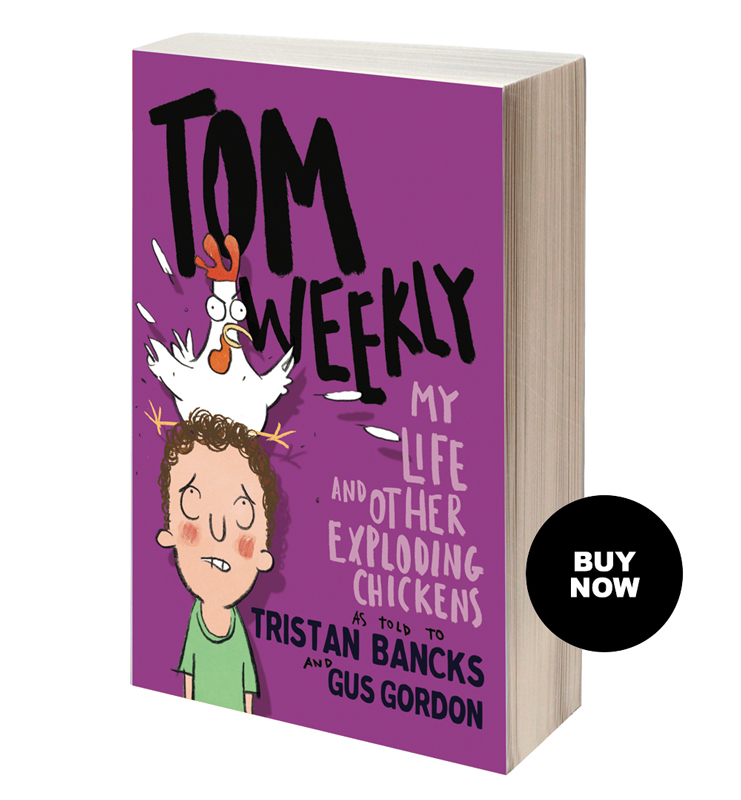 Author Bancks doesn’t skip a beat as he writes from his character Tom’s perspective, and illustrator Gordon adds his usual funny and clever drawings to it all. What a great book. ‘My Life & Other Exploding Chickens’ Released!